Wrapped up in the minutia of day-to-day living, we sometimes forget as labor representatives that what we do at the table changes lives. 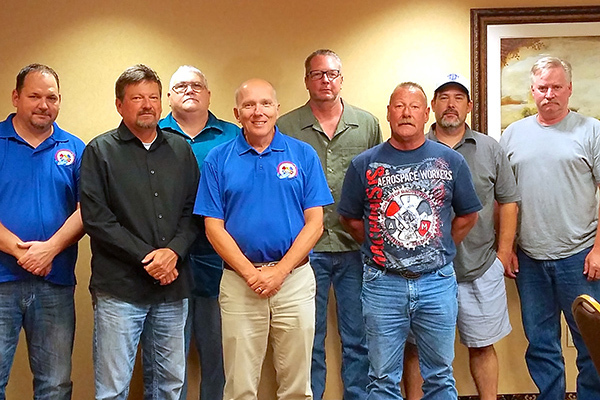 And there are a slew of machinist families in Oklahoma reaping the benefits of having a strong IAM contract. They deserve it as these are the hard-working Americans support our brothers and sisters in uniform. “The jobs our members perform at places like Tinker, Vance and Altus Air Force Bases are so important to the men and women serving in our U.S. Military. The ground support offered by these IAM members allows our military brothers and sisters in the field to do their job safely, many of whom come home and become part of our labor family. 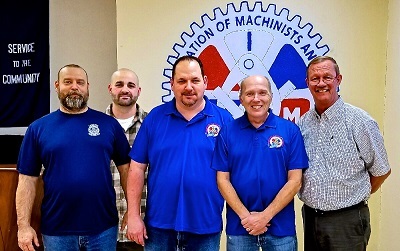 We take great pride at the Machinists Union for being an essential part of the U.S.A. team,” said Ben Moody, Organizer and Business Representative for District 171. L-3 Vertex at Vance AFB was first up on the docket this month in Enid, Oklahoma. This group has been around for decades, with their first CBA coming to life in 1974. Today, there are 381 members who will be enjoying gains of 3% raises each year, the IAM Pension front loaded in the first year of 75¢ to $4.40 per hour and an added 32 hours of pay for base closure and family days to name just a few. T-Square at Vance AFB was ratified with those members receiving the same benefits because they are a sub to the L-3 Vertex group. 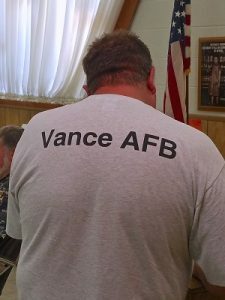 “Our reputation speaks for itself across Air Force Bases in Oklahoma. If you want a great contract, it has to have the name IAMAW at the top,” said Southern Territory Grand Lodge Representative Mark Love. Next, it was on to negotiations with Apro International, Inc. at Tinker AFB for the members out of IAM Local Lodge 850. At the table, machinist representatives were able to secure a five year contract with 3% pay increases each year. They were also able to add the IAM pension to the contract starting at 85¢ per hour on July 1, 2018 and adding 5¢ each year of the contract. A huge win for members in an era where corporations are trying to erase the word ‘pension’ from our vernacular. Increases to the 401K and continuation of the company paying 100% of the members’ basic life, AD&D, medical, dental and vision insurance at the same level of coverage in place on the day of negotiations for those who ‘opt out’ of the insurance because there are receiving health care benefits as a result of their prior military service.